For what it's worth, I was a little skeptical about Tirico moving over to NBC considering that he is so widely used at ESPN from doing Monday Night Football to the NBA to college basketball to golf (although not as much anymore) to tennis and that NBC could struggle to get Tirico the kind of high-profile roles that he would likely crave. After all, it doesn't seem like anytime soon that Al Michaels will step down from Sunday Night Football nor the same for Bob Costas in his role from hosting the Olympics. But alas, here we are. Ourand reported that Tirico is expected to work NBC's package of Thursday Night Football games and may have a role on their golf coverage, which is adding the Open Championship starting next year. Therefore, one can presume that Tirico is the heir apparent to SNF considering that Michaels' contract runs through next year and he just may step right into a role on the Rio Games come August. But there is still very much a mystery as to what his role will be but I would presume that he got some assurances in order to move over. For our friends over at ESPN, Tirico is a big loss simply because of how versatile he is. As I mentioned, he covers all kinds of things for ESPN and gained a lot of respect for working his tail off even as his profile rose (namely with being on Monday Night Football). It will take more than one person to fill his void across the board although it does seem like Sean McDonough will slide on over from ESPN's college football coverage to replace Tirico on MNF. Factor this in with the reports that ESPN could be on the brink of losing Brad Nessler to CBS and a once-stout announcing group for the so-called Worldwide Leader could be in for quite a shakeup. I'm very shocked by this move. If Tirico one day takes over for Al Michaels on SNF, I'll be quite disappointed because I always thought since Kenny Albert does a couple events for NBC (NHL and wrestling), that he would somehow someway leave FOX for NBC full-time and take over for Michaels. We shall see. I am shocked too. Know we won't know who will me the new MNF play-by-play announcer. Wow. Jonathan - apparently Sean McDonough is a major contender for new MNF play-by-play according to the Sports Illustrated article I read today. 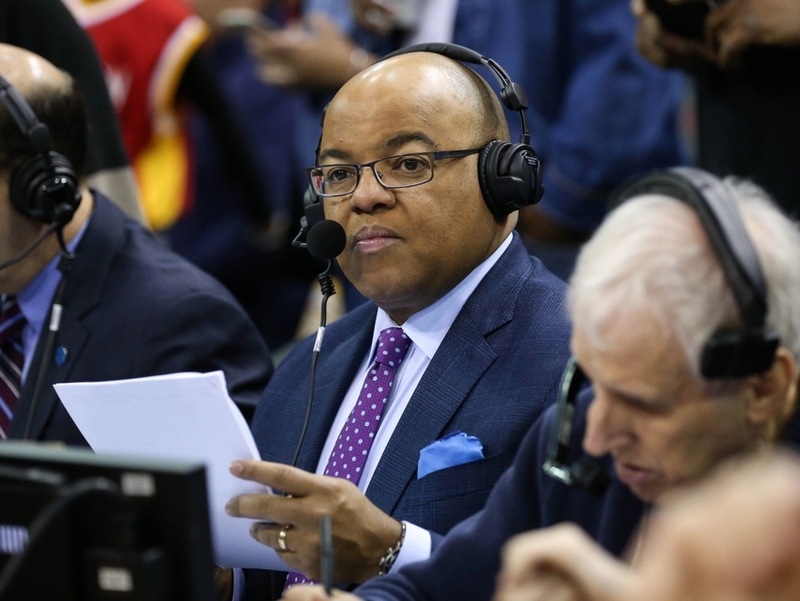 I've always considered Tirico as OK as far as play-by-play goes; he "gets the job done" but I am also surprised NBC has gone out on a limb as there are definitely better PBPs than Tirico. Kenny Albert, however, is not one of them. It is more entertaining watching water evaporate than listening to Marv's kid.